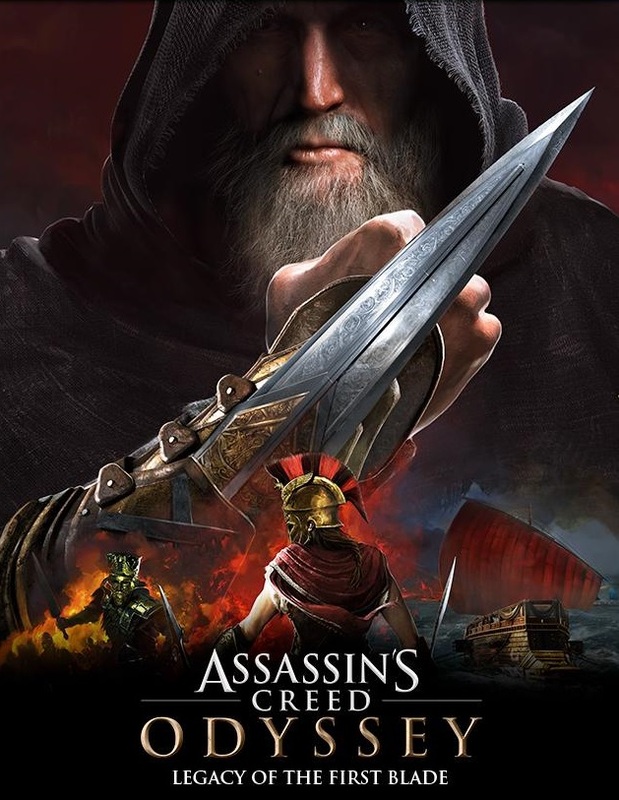 When Odyssey was gearing up to release, many people questioned why- not why a new Assassin’s Creed, but why a new timeframe set significantly earlier than the Brotherhood we saw formed in Origins. The first Legacy of the First Blade episode answers that question: not to rewrite the history of the Brotherhood itself, but to show us where one of the most iconic weapons in video games came from. I WARN YA NOW: THERE MAY BE STORY AHEAD!!! In Hunted, you meet Darius- a strange, hooded man who’s hellbent on stopping a madman simply called The Huntsman. You also meet one of Darius’ children, either Natakas or Neema depending on who you’re playing as, who aids the story and lends a deeper meaning to the bloodshed therein. If you’re deep into Brotherhood lore, you may remember Darius’ name from previous Assassin’s Creed games! Darius is on the run from the Order of the Ancients- yes, the proto-version of the Order from Origins. They’ve spread from Darius’ native Persia to Greece, and we all know that their claws end up in Egypt in later years. Oh, and that Persia thing? Yeah, Darius might have assassinated the most famous— and infamous— god-King ruler of their time, which would become the first recorded use of the hidden blade in history. That right there is how Kassandra/Alexios and Darius’ tales are intertwined; as the grandchildren of Leonidas, they’re all too familiar with Xerxes and the legend of the Spartan 300. Through flashbacks, Hunted shows you a great chunk of the past, including how Darius ends up branded a traitor to the throne of Persia. This is part of why he ends up in Makedonia— forever simultaneously running from, and chasing, the Order and its members. But the game makes you wonder: is there more to Darius than he’s letting on? The second and third episodes of the Legacy of the First Blade story arc release in the next few months, and we’ll have to see how it ends. But Hunted is one great start!